Greetings fellow BudgetTravellers- excited to share with you another instalment in my Cheap Eats series. This edition, we are discovering the best cheap eats in Malta thanks to a collaboration with Dealchecker and a little help from my Maltese friends Karen and Kylee. Plus if you are planning a visit to Malta, do checkout my earlier guide to backpacking in Malta and Gozo. If you’re anything like me, travelling is basically an excuse to try out all the wonderful food the world has to offer. However, trying to decipher where locals like to eat and which restaurants are tourist traps usually leaves me a little hangry and I end up eating at the nearest place that sells anything resembling food. Malta’s cafe’s and restaurants can be hard to navigate, so with a little help from my Maltese friends, we’ve come up with a few places that the locals have been enjoying for years and won’t break the bank. Originally from Malta’s sister island Gozo, Café Jubilee became a hit with the locals, opening an outlet in Malta’s capital city Valletta, and in the bustling town of Gzira. For just €2.25 you can grab a bagel smeared with their delicious homemade orange marmalade. Their famous ravioli (which I’m pretty sure are made by angels) are a mere €8.95 and they are generous with their portions. The rest of their extensive menu also ranges between these prices, which makes it a perfect place to get bang for your buck. And it’s open from 8 am till about midnight so you really don’t have any excuse not to go. The bonus? This dimly lit cosy café is full of quirky décor (think tables and chair glued to the ceiling) which makes it perfect for those Instagram posts. 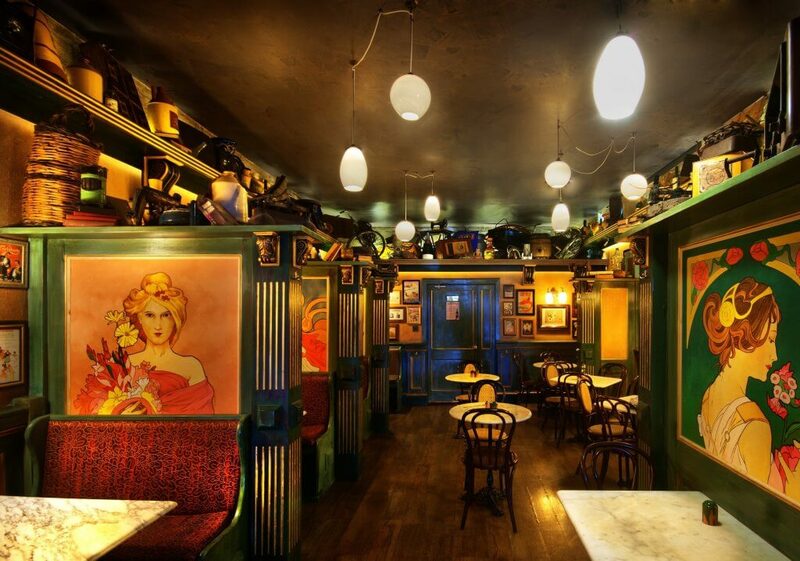 Set in one of Valletta’s quieter side streets, Nenu’s is ideal for both relaxed date nights and group dinners. They’re open for lunch too but be prepared not to get much done after. Nenu only serves Maltese products. 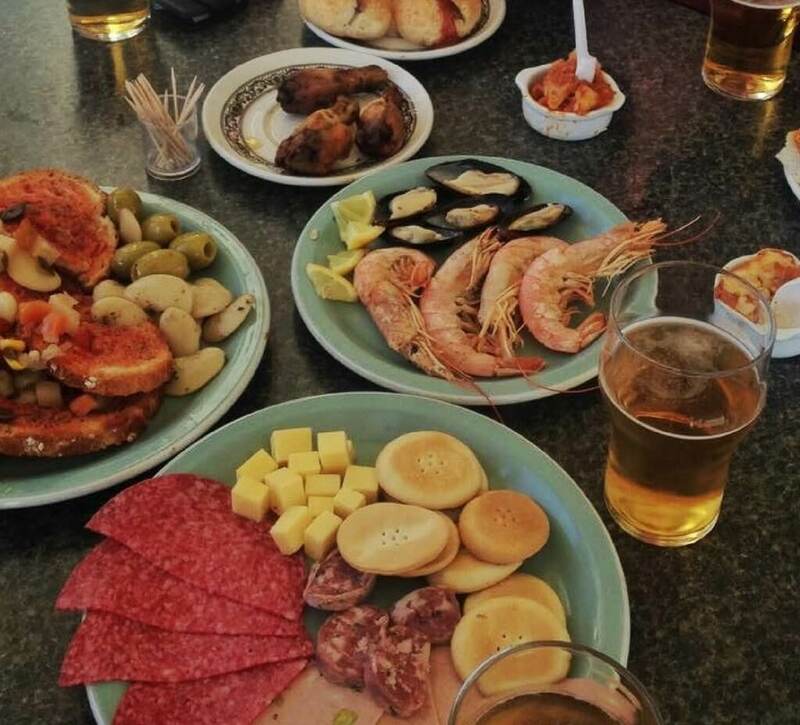 Everything on the menu, from the food to the wine to the liqueur is produced locally. A small exhibition depicting an old Maltese bakery gives Nenu’s that extra kick of culture. 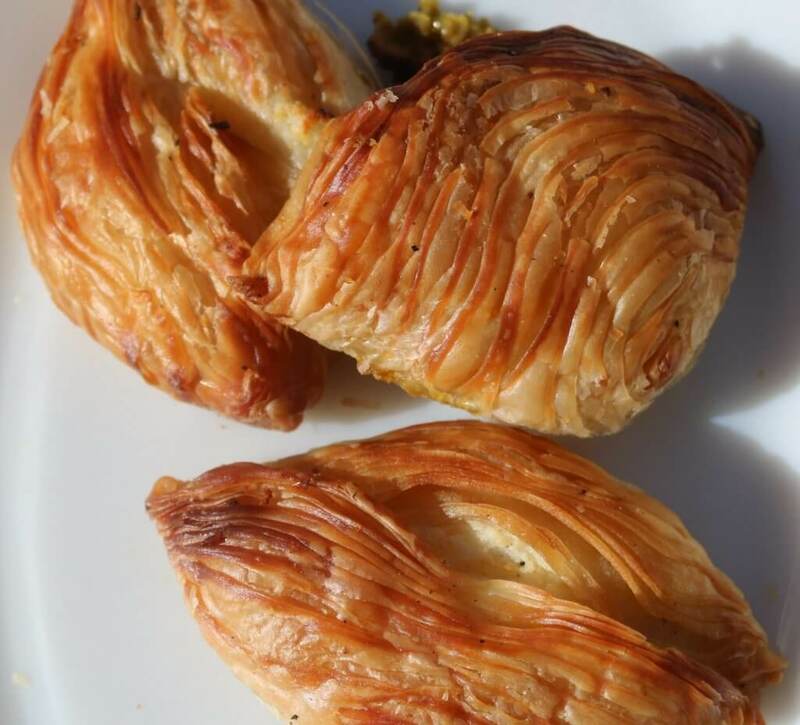 However, if you’re a normal person, I suggest you try their Maltese ftira which is what Nenu’s is known for. 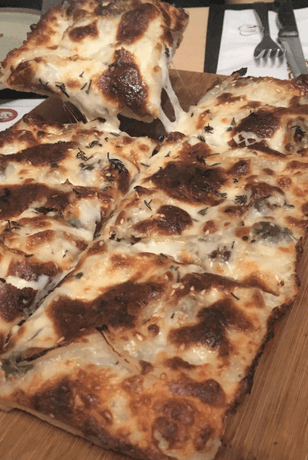 Their ftira is a layer of amazing dough, similar to a pizza but not quite and then topped with local ingrients such as goat’s cheese and Maltese sausage. Divine. One of these is enough for 2 people and at € 12.50 each ftira, it makes it a pretty sweet deal. If you’re lucky enough you might even get serenaded by two elderly Maltese men. Plus, our waiter was very passionate about the food and even took us back to see the olden baking ovens! Whilst their menu offers their own delicious creations, I tend to go for the ‘Make Your Own’ section. 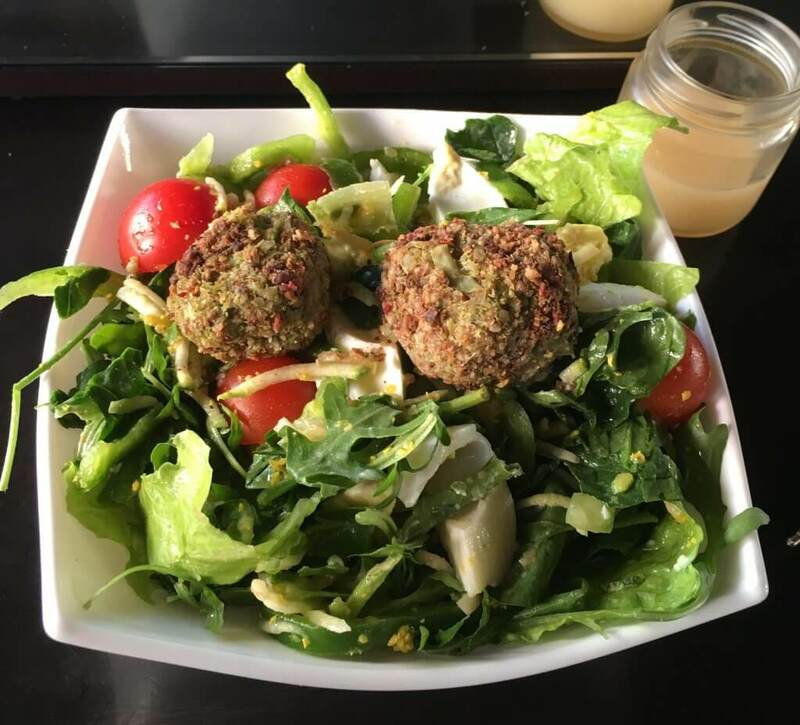 Their starter salad starts at €3.50 and has a great choice of vegetables and grains to create your base with. You can add other items for an extra charge and has a list to suit all different (food) walks of life. Personally, I’m a little in love with their broccoli balls (I hate broccoli) which are an extra euro. And when I feel l like throwing in some extra delicious points (aka calories), I’ll add grilled goat cheese drizzled with honey. When ordering ask for a ginger shot. It’s free! And if it’s warm enough take your order to go and enjoy some sunshine and maybe a quick dip along Sliema’s seafront. Any time of day is fair game when it comes to eating these deliciously stuffed filo pastries of goodness. Breakfast, lunch, dinner, snacks. No-one bats an eye. And at a whopping €0.30c (or so) each, would you even care? Fun fact. ‘Serkin’ in Rabat, already popular with the locals, had their fame grow exponentially after Malta’s prime minister took Belgian, Luxembourg and Slovenian PMs for an afternoon tea and a snack. Rabat is also a beautiful town where you can wander around, visit museums or enter the walled city of Mdina, Malta’s silent city. ‘Champs’ in Malta’s little pub hub (Paceville, St. Julian’s) is open 24 hours and ready to assist in getting rid of the shrapnel you acquired throughout the night. The pastizzerias have a long list of other Maltese favourites like Qassatat – pastry with ricotta or tuna & spinach or curried peas, Timpana – baked macaroni and the square pizza – greasy but oh so fluffy and tasty. Oh and nothing is above €2.50. What if I told you that you can walk in to a bar with the intention of having a beer and walk out three hours later having eaten enough to feed a family of four and it wouldn’t have cost you more than the beer you bought? Enter the Kazin. (sounds like kah-zeen) These bars are usually off the beaten track and the old-time locals from the area frequent such places. They’re not much to look but don’t let that stop you. Once you order a drink, plates of complimentary food will start flooding in. We’re talking anything from cheese and crackers, to pasta, wings, seafood… if they have it, they will serve it. Hop on a bus on a Sunday from Valletta (take the 92 or 124) and head down south to Marsascala. The band club Awwista is a minute walk away from bus stop Polo. The area itself is very scenic and you can work up an appetite by enjoying a nice stroll right along the seafront before heading to Awwista for a drink or two. 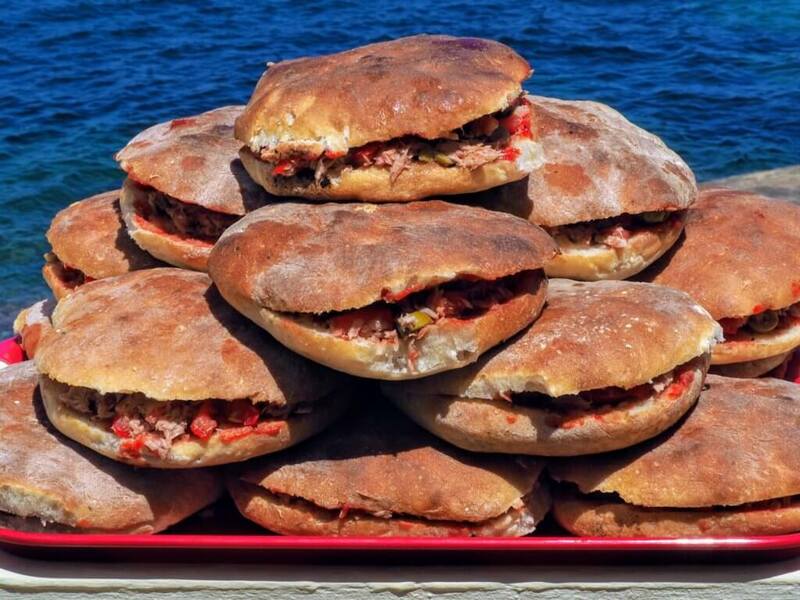 No summer is complete in Malta without having hobz biz-zejt by the sea. The literal translation means bread with oil but there are plenty of variations. The main ingredients are usually tuna, olives tomato paste, basil and mint. People tend to creative so it really depends on what floats your boat. It sounds simple enough but the combination of the soft yet crunchy Maltese bread together with the ingredients make it so filling and tasty. I haven’t been to a kiosk or restaurant – especially ones by the sea – that did not sell Hobz biz-Zejt. They’re usually the cheapest thing on the menu too. So there you have it! A little insight on what people living in Malta go to for a quick bite or a nice cheap and cheerful meal. And as a bonus, if you’re in Mdina, head to Fontanella and try one of their cakes. You will NOT be disappointed. 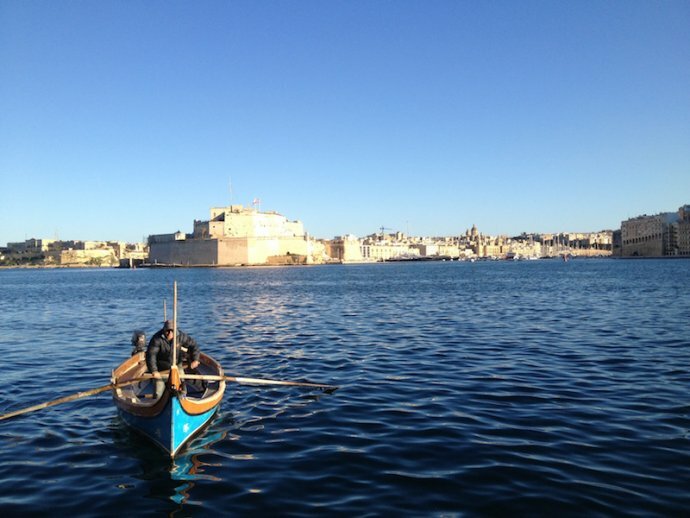 We hope you enjoy Malta and all it has to offer and enjoyed this article too! 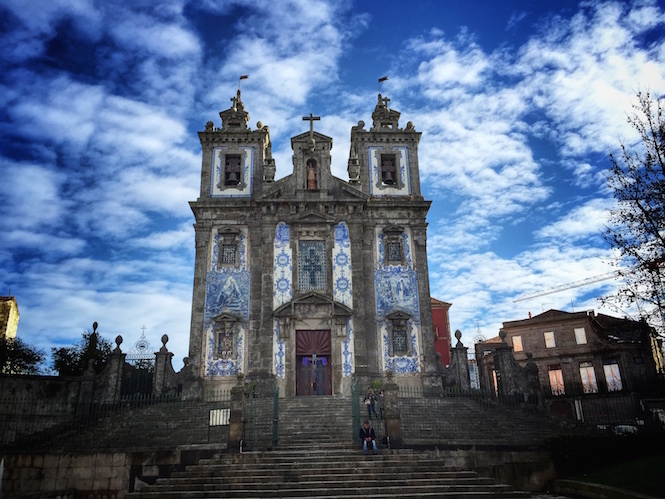 This post was produced in collaboration with Dealchecker but the views expressed here are entirely Karen’s with a little help from her friends in Malta.